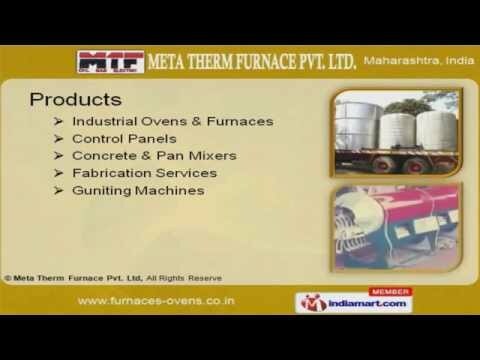 Welcome to Meta Therm, Furnace Private Limited. Manufacturer & Exporter of Furnaces, Ovens & Construction Machines. The company was established in the year 1985, at Mumbai. We cater to Automobile, Electrical Motors & other Industries. Advanced mechanical supports, Cost effective market prices and High performance make us the first choice of our clients. We offer a wide assortment of Control Panels, Fabrication Services, Industrial Oven sand Furnaces. Industrial Ovens and Furnaces offered by us that are superior in performance. We also provide Control Panels that are widely appreciated in the market. Our Concrete and Pan Mixers that are in huge demand across the global markets. We also provide Fabrication Services that are a class apart. Along with that we offer Guniting Machines that are highly efficient.